Tributes were paid earlier this week to the late TD for Mayo East and former minister, Ballina based Sean Calleary, who died last weekend. 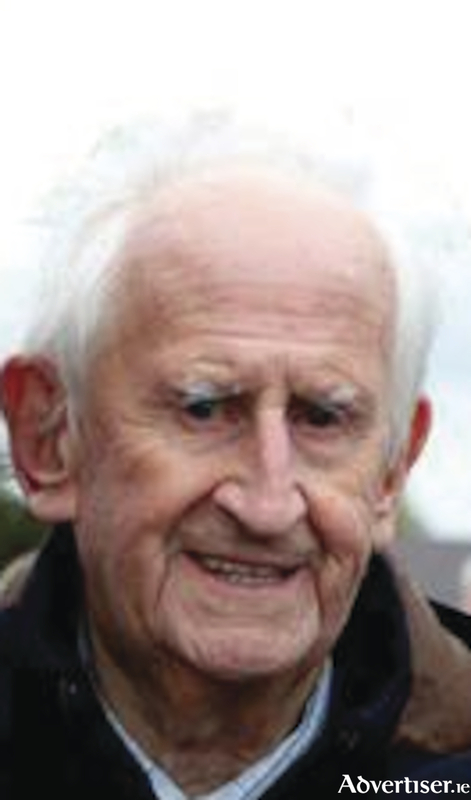 He was a member of Dáil Éireann from 1973 to 1992. The Killala native was also a civil engineer by profession. Sean Calleary served as minister of state at the Department of Public Service, at the Department of Trade, Commerce and Tourism, and at the Department of Foreign Affairs . He was also a former councillor on both Mayo County Council and Ballina Urban Council. Mr Calleary was also well known in sporting circles as a prolific athlete and sports enthusiast. His father Phelim was a TD for Mayo North from 1952 to 1969, while his son Dara is the current deputy leader of Fianna Fáil and a TD for Mayo since 2007. He is survived by his wife Doris, daughter Siofra, sons John, Conall, and Dara, grandchildren, and wider family. Ballina based Fianna Fail councillor, and current Cathaoirleach of the Ballina Municipal District, Annie Mae Reape was a former secretary to the late minister. She described him as a gentleman. She told the Mayo Advertiser: “It’s such a sad occasion. I’m here thinking of it now. It’s such a hard thing to get your head around. The word gentleman has been used extensively every day that passes since he died and Sean of course was just that. I worked for him and you couldn’t ask for a nicer boss, he was just unbelievable and I can say that without fear or worry of being contradicted. Cllr Reape added: "Sean was down to vote on the referendum two weeks ago. Right up to the last he insisted on being brought to vote as he felt it was his duty to exercise his franchise on the repeal issue." Former taoiseach Enda Kenny served in the Dail and on Mayo County Council with Sean Calleary. He described Mr Calleary as a fearless defender of Ballina and Mayo. He says as an engineer, Sean brought the quality of strategic thinking to his politics, particularly in respect of the development of the west. As a young deputy, Seán Calleary often gave him advice on particular political difficulties that arose. Mr Kenny said: “As a rugby player, Seán understood what team effort was like and brought that to fruition with his native Ballina. He was also an avid supporter of Mayo senior footballers over the years. Ballina has lost one of its finest sons." The Mayo CDC Fianna Fail in a statement said: "It is with great sadness we heard of the death of one of our party presidents in Mayo Fianna Fáil, former junior minister Sean Calleary. "Sean served his area with both passion and conviction over many years as a county councillor, TD, and junior minister. His love for Mayo, particularly his native north Mayo, shone through his politics and his non-political pursuits, especially his passion for sports. "His quiet demeanour on and off the political field belied a sharp and curious brain which retained facts and brought them back at will whatever the discussion, and made Sean a pleasure to chat to on any topic. He was always to be found deep in conversation, giving his viewpoint on the issues of the day. It’s fitting to remember Sean for what he was, a gentleman, as he was considered across the political divide to be, willing to talk to anyone on an issue and show the greatest respect to all, even those he disagreed with. "His continued contribution to the Fianna Fáil party in the constituency after his retirement was invaluable and was rewarded when he saw his son Dara elected to represent Mayo in Dail Eireann. "Ballina, north Mayo, and the entire county has lost a dedicated servant and Mayo Fianna Fáil expresses its deepest sympathy to his wife Doris, children Siofra, Dara, Conall and John, his extended family, and all his many friends."